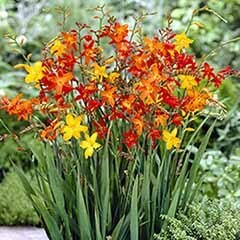 Firey, spotted flowers make this sought-after plant a great addition to your garden. 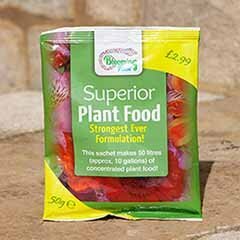 Fill your pots and boders with something really rather exciting! 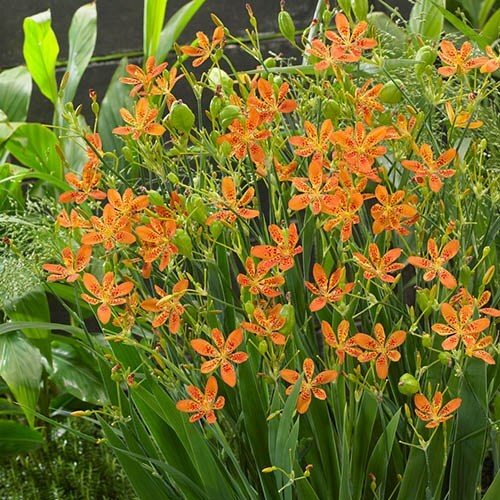 Iris domestica 'Orange Dream' is an exotic and unusual perennial that's a member of the Iris family and well worth its place in any mixed border. 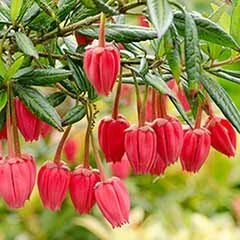 Rarely offered for sale in the UK, now is your chance to make this beauty your own! 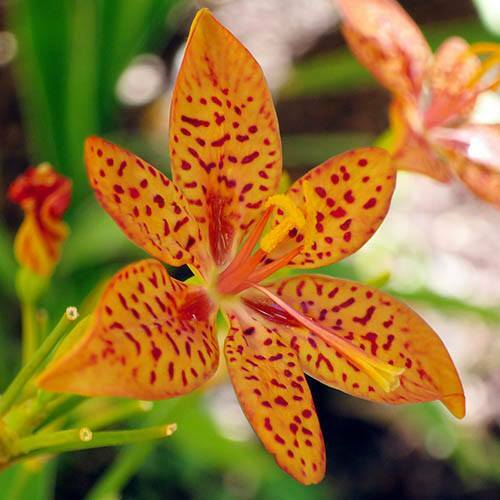 This easy to grow leopard lily bears a succession of bright orange, spotted flowers on tall spikes from early to mid-summer, making them ideal as cut flowers in a favourite vase. 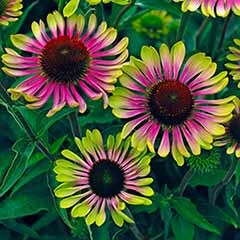 The leopard spotted flowers emerge from a clump of sword-like leaves which grow in an attractive fan shape, making the whole plant a visual feast! 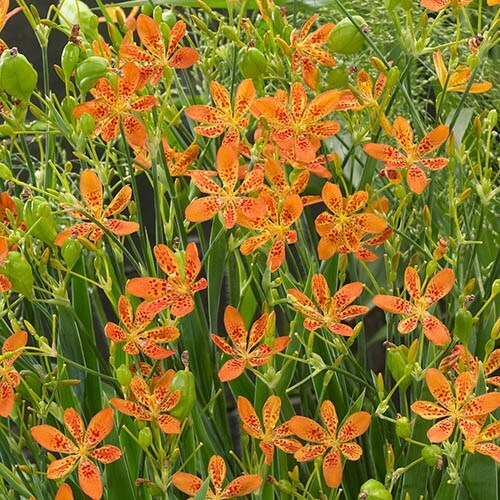 The striking blooms fade to reveal shiny black, ornamental seed heads (which give this plant its common name of blackberry lily) - these make gorgeous additions to a dried flower arrangement. 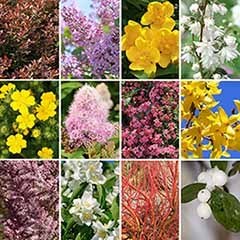 Plants quickly establish to form healthy clumps, which can be divided in autumn or spring to enhance your borders. 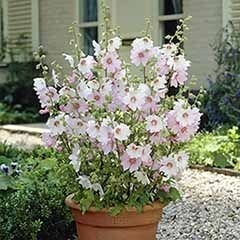 Generally trouble-free, this variety is particularly resistant to disease and pests and it really is a great plant to get beginners started with gardening. 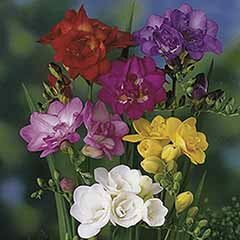 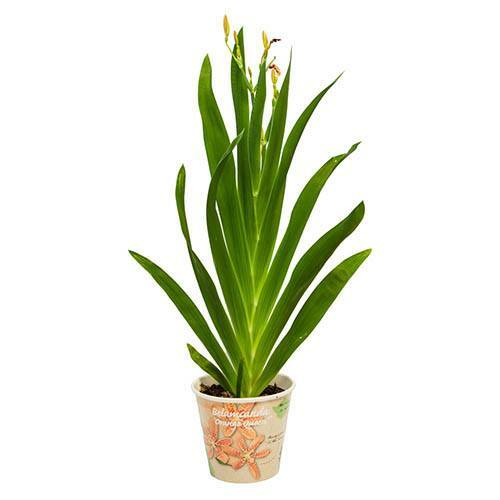 Delivered as a potted plant in a 12cm pot which can be planted out straight away. 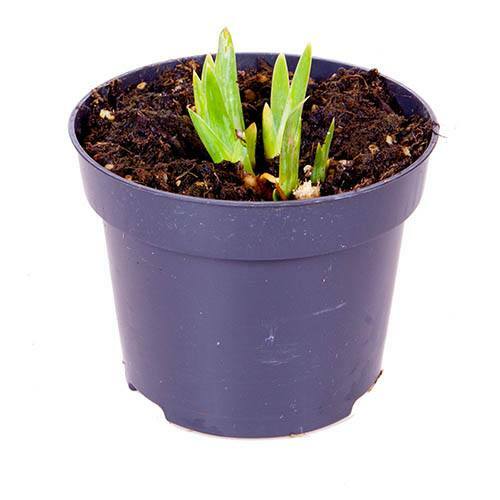 In winter, plants are dormant with few or no leaves. 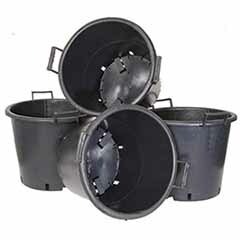 Please note that the decorative pot in the 'as supplied image' is for illustration purposes only. 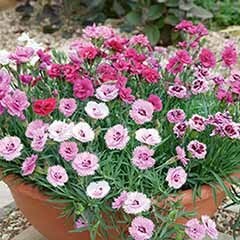 Supplied as a single plant in a 12cm pot, ready to be planted straight out. 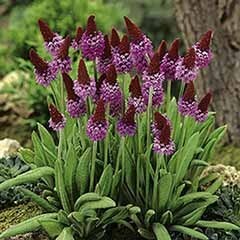 Flowers are followed by seedpods which open to reveal shiny black seeds, much like a blackberry in looks. 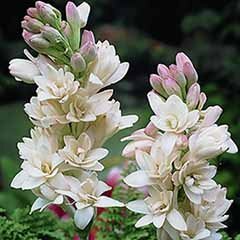 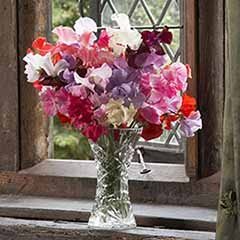 You can leave these on the plant to give you added winter interest for your garden - they also make a unique addition to dried flower arrangements. 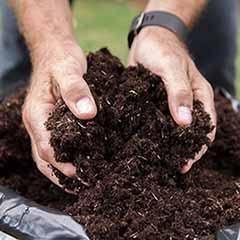 Grow in humus-rich, moist but well-drained soil and keep well-watered - although plants tends to grow in all but the wettest clay soils. 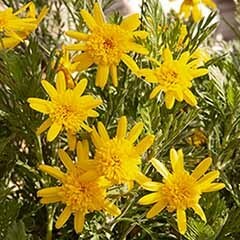 Plants are happy in full sun or partial shade. 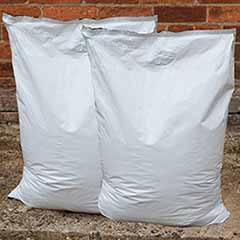 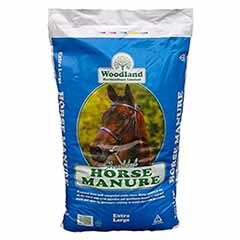 Frost hardy; will tolerate short spells to -10°C (14°F) if given a deep, protective mulch in winter.